A deputy U.S. marshal serving a felony arrest warrant was shot and killed Thursday evening outside a Tucson house on the north side, Tucson police Chief Chris Magnus said. "I�ve just learned that tonight we lost a US Deputy Marshal from the District of Arizona. He was killed in the line of duty in Tucson. My deepest condolences and prayers go out to his family and all of Arizona law enforcement," Ducey tweeted. The U.S. Marshals Office has identified the deputy marshal shot and killed outside a Tucson house while serving a fugitive warrant as a 41-year-old who worked for the agency since 2015. Chase White was shot about 5:30 p.m. Thursday serving a search warrant on the city's north side. The Marshals Service said Friday that White was an Air Force reservist who was preparing for deployment. He was married and had children. Tucson Police Chief Chris Magnus says the victim was among Marshals Service personnel serving a warrant for 26-year-old Ryan Schlesinger when the suspect opened fire. Marshals returned fire, but the suspect was unhurt. Schlesinger was arrested after a standoff at the house. The agency says White was the first deputy U.S. marshal killed on duty in Tucson in 66 years. The man accused of killing a deputy U.S. marshal in Tucson on Thursday night previously threatened police officers over a gun they had seized from him, according to a criminal complaint filed Friday. Beginning April 16, Ryan Schlesinger sent emails to Tucson police officers with messages such as �Release my property or else,� the complaint said. In July, August and September this year, the complaint says, Schlesinger went to Tucson police offices to try to arrest Sgt. Amber Kingman, who had been part of a group of officers who seized a gun from Schlesinger in August 2017. Tucson police have been trying to handle Schlesinger�s threats and misbehavior since that August 2017 incident, Sgt. Jason Winsky testified in an August 2018 court hearing. Winsky was among a group of officers who went to Pima County Justice of the Peace court to request harassment injunctions against Schlesinger and another man frequently seen by the Police Department�s mental health unit. Both, the officers testified, had been harassing officers assigned to the mental health unit. In August 2017, Winsky testified, officers tried to contact Schlesinger and he barricaded himself in the house in the 2600 block of North 15th Avenue where Deputy U.S. Marshal Chase White was killed Thursday. Marshals were trying to serve a Title 36 emergency petition to have Schlesinger�s mental health evaluated, the complaint says. �The handgun was placed into TPD evidence along with a high capacity magazine loaded with specialized ammunition designed for increased penetration,� the complaint says. Schlesinger�s hostility toward police escalated as the year went on, according to Winsky�s testimony and the criminal complaint. On July 3, TPD detectives interviewed Schlesinger and asked if he had access to a gun, the complaint says. Schlesinger �indicated to detectives that despite two active injunctions of harassment against him, prohibiting him from possessing firearms, he was aware that he could circumvent a background check to purchase additional firearms because he has a valid CCW,� or concealed-weapons permit, the complaint says. That same day, Schlesinger went to the home of a family member where, coincidentally, Officer Dustin Dial, another mental-health unit member, was staying, Winsky testified. He also went to the home of one of Kingman�s family members. On Nov. 20, Schlesinger attempted to arrest Kingman at the west-side TPD station, 1310 W. Miracle Mile, the complaint says. On Nov. 22, he filed an online complaint in which he imagined a �shootout� happening if officers would not let him arrest them. After the injunction was issued, Tucson police attempted to get an order forcing Schlesinger into mental-health treatment but failed. When he continued trying to arrest officers, they were able, though, to get an arrest warrant against him for stalking Kingman. That was the warrant the U.S. Marshals Service was serving Thursday evening when Schlesinger allegedly shot and killed White. But Schlesinger�s issues with authority extend beyond the Tucson Police Department, according to records found in Pima County Superior Court and Pima County Consolidated Justice Court. In March 2017, a Pima Community College administrator encountered Schlesinger after he was reported to have been making inappropriate comments to students in the downtown campus library. The administrator met with Schlesinger to discuss his conduct and placed him on probation until April 6, 2017. The employee later asked Schlesinger to meet with her to discuss �continuing inappropriate communications with college staff,� but he refused to meet, saying he didn�t recognize her authority. Two days later, Schlesinger emailed the administrator again, telling her she was banned for life from Pima Community College and all affiliated events. �Crossing me was a bad idea,� the email said. �If law enforcement fails to act, I will be forced to take the law into my own hands,� the letter said. The administrator was notified of the letter and TPD officers said they were familiar with Schlesinger and suggested she obtain a protective order against him. The administrator applied for and was granted one the next day. Pima Community College also received its own injunction against Schlesinger. Schlesinger was served with the injunction Aug. 21, 2017, while he was at the Crisis Response Center. He requested a hearing to dispute the injunction, but admitted to the judge during the Dec. 7 hearing that he sent the emails referenced in the administrator�s petition for the protective order. Schlesinger appealed the decision in February, sending a six-page expletive-laced letter to the court, accusing the judge of being biased. Schlesinger said that the administrator was given more than 30 minutes to present her case but the judge refused to let Schlesinger speak after he admitted to sending the emails. Schlesinger accused the judge of being �grossly corrupt and incompetent� and said that testimony about his threats toward the administrator were not based on evidence, but on delusion. The PCC administrator hired an attorney to fight the appeal. The attorney argued that the standard to obtain an injunction against harassment is fairly low and the standard was clearly met in this case. The appeal was rejected, but the administrator reapplied for another injunction in August 2018, which was granted and still stands. TUCSON � A man arrested in last week's killing of a deputy U.S. marshal in Tucson has been ordered held without bond, authorities said Tuesday. A spokesman for the U.S. Attorney's Office in Arizona said a federal magistrate ordered Ryan Phillip Schlesinger to remain behind bars pending a grand jury hearing. Deputy U.S. Marshal Chase White was shot Thursday night while serving a fugitive arrest warrant. White, 41, died later at a hospital. The U.S. Marshals Service said the gathering to remember White will be Friday at the Tucson Convention Center. White was shot when he and other members of the Marshals Service were outside a home in northern Tucson to deliver a warrant to Ryan Phillip Schlesinger for stalking a female police sergeant. After an hourlong standoff, Schlesinger emerged wearing body armor and was arrested on a warrant accusing him of first-degree murder of a federal officer. He could face the death penalty or life in prison. A public defender did not return an email seeking comment. The initial warrant against Schlesinger, 26, sought his arrest for stalking a female police sergeant after she seized a handgun and ammunition from him last year. The suspect had recently visited the Tucson Police Department, where he confronted the sergeant, then filed an online complaint about last year's seizure of his weapon, demanding that she and other officers be "arrested" and warning against the possibility of a "shootout at the OK Corral," authorities said in a complaint. Raised in central Illinois, White had been with the U.S. Marshals Service since 2015. He was on active duty in the Air Force from 2000 to 2007 and was currently a lieutenant colonel in the Air Force Reserve, serving with the 926th Wing at Nellis Air Force Base, Nevada. He was set to leave for a deployment this week. White, 41, is survived by a wife and four children. The man arrested in connection with the fatal shooting of a deputy U.S. marshal in November has been indicted by a grand jury on multiple charges, including the murder of a federal officer. 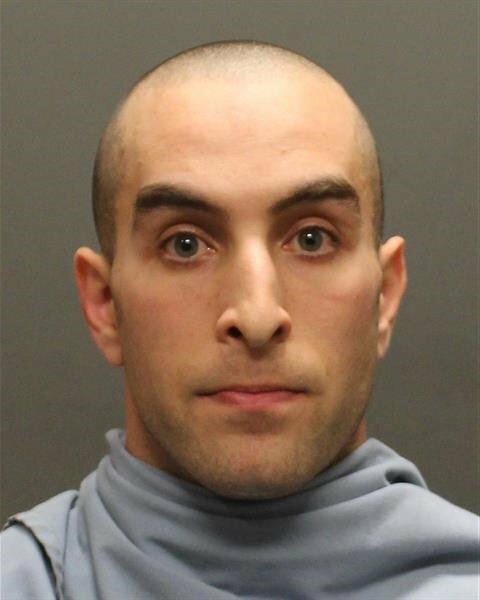 Court documents show that Ryan P. Schlesinger, 26, was indicted on 13 counts related to the slaying of Deputy Marshal Chase White on Nov. 29 while he and other federal officers were serving an arrest warrant at a house on Tucson�s north side. Schlesinger was indicted by a federal grand jury this week on one count of first-degree murder of a federal officer, three counts of attempted murder of a federal officer, four counts of assault on a federal officer with a deadly weapon, and five counts of discharging a weapon while committing a crime. The additional charges involve shooting at the other federal officers serving the warrant with White, according to the indictment. The indictment said Schlesinger shot White and fired at the other federal officers using a �multi-caliber� rifle. Federal agents were serving an arrest warrant issued against Schlesinger by Tucson police on charges of stalking a law enforcement officer when the shooting happened around 5:30 p.m. Nov. 29 in the 2600 block of North 15th Avenue, near West Jacinto Street. A federal complaint said as marshals arrived at the house they noticed there were security cameras on the outside of the residence. As they forced their way into the home, Schlesinger opened fire, striking White. Other marshals returned fire and carried White from the home. After about an hour standoff, Schlesinger, who was wearing a ballistic vest and helmet, surrendered to police. White, who was a deputy marshal since 2015, was taken to Banner-University Medical Center where he died. A federal complaint filed earlier said Schlesinger was upset with Tucson police officers after an incident in August 2017 at his residence where officers where trying to serve an emergency mental-health petition. At the incident, Schlesinger threatened to kill the officers. He was shocked with a stun gun and taken into custody. Officers confiscated his Glock handgun and ammunition. Over the ensuing months Schlesinger sent Tucson police emails demanding that his gun be returned. He even showed up at the Miracle Mile police station to make a �citizen�s arrest� of the police officers involved in the initial incident, the federal complaint said. Schlesinger also showed up at the parents� house of one of the police officers, the complaint said. This week�s indictment said Schlesinger used a Weaponsmart Model WMX15 rifle to kill White and assault the other federal officers. Court records also show that prosecutors filed a motion to prevent the Pima County Medical Examiner�s office from releasing to the media the autopsy report on White for at least 180 days. U.S. Magistrate Judge Bruce C. Macdonald granted the request to keep the records from being released. TUCSON, Ariz. - Defense attorneys for a man charged with shooting and killing U.S. Deputy Marshal Chase White may ask that the U.S. Attorneys Office be removed from prosecuting the case. Attorneys for murder suspect Ryan Schlesinger mentioned the idea in open court Friday but later said they were not at liberty to elaborate. Deputy Marshal Chase White would have likely been well known to members of the U.S. Attorney�s office. As a Deputy Marshal he would have spent a lot of time in the Tucson Federal Courthouse. Soon after his death he was described as well-liked by everyone he worked with. In an arraignment hearing Friday Magistrate Judge Bruce MacDonald entered a not guilty plea for Ryan Schlesinger�-routine at this early stage of the case. Judge MacDonald set February 1, 2019 as the deadline for any plea change, and set this coming February 20 as the trial date before Chief Judge Raner Collins. It would be no surprise if the trial date is pushed back. Felony trials rarely begin soon after the events that triggered them. On November 29th, Deputy Marshal Chase White was part of a team of Marshals assigned to arrest Ryan Schlesinger on charges of threatening a police officer. The Tucson Police Mental Health Team had a history of contacts with Schlesinger and said he had a history of hostility toward law enforcement. Investigators say Chase White was hit when Schlesinger fired as they broke into his house. Schlesinger surrendered to Tucson SWAT officers about an hour later. He emerged from the house wearing a helmet and bullet-resistant vest. Deputy Marshal White, 41, was an Air Force reservist, preparing for an upcoming deployment. He leaves behind a wife and children. TUCSON, AZ (KOLD News 13) - A request to disqualify judges and prosecutors from Ryan Schlesinger�s murder trial has been rejected, at least for now. 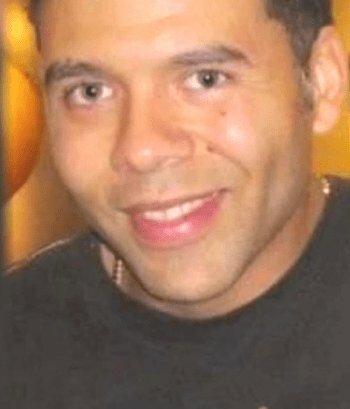 Schlesinger is accused of killing U.S. Deputy Marshal Chase White in November 2018. His attorneys attempted to get Arizona judges and prosecutors removed from the case, claiming they have too close a relationship to the U.S. Marshals Service. In his decision, federal judge Raner C. Collins said the court's decision could change during discovery. Judge Collins also said the federal government must respond to the defense�s request for discovery by 5 p.m. Wednesday, April 10. A hearing has been set for Monday, April 15. Schlesinger could face the death penalty if he�s convicted.